One side to the other measures about 230 meters. This island can only be reached at low tide for about four hours. Although it's small the Germans managed to built four big bunkers and several Tobruks on this little island. 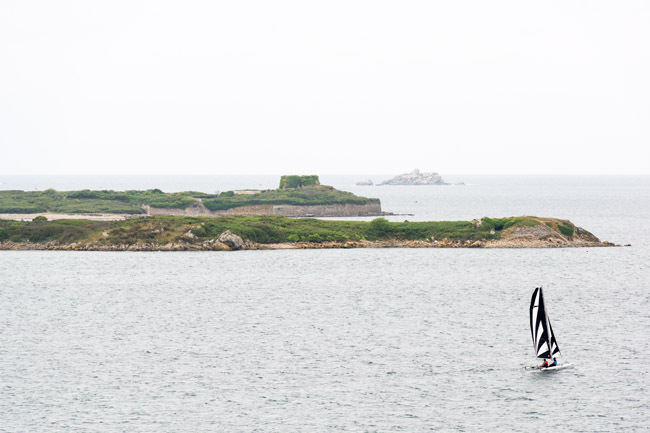 Énez Vihan in front with Île Cézon in the background. The 505 Pak bunker is on the right. 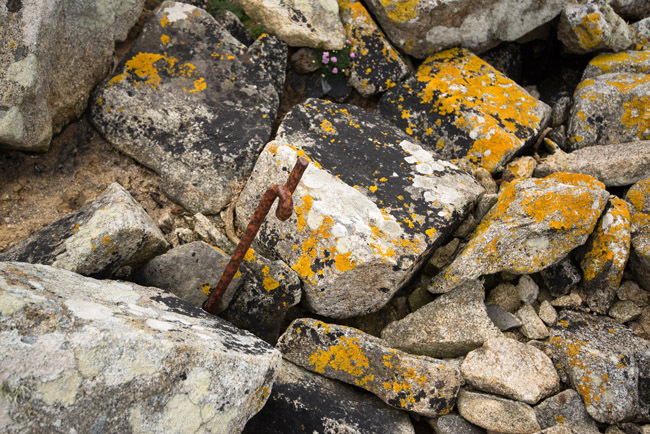 One of the many barbed wire poles still visible around the island.